Inexplicata-The Journal of Hispanic Ufology: Argentina: The Salta Mothership Returns? 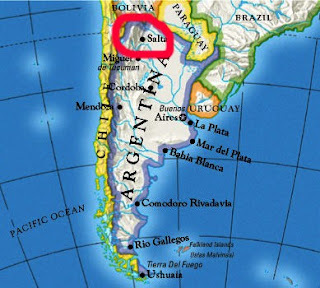 Argentina: The Salta Mothership Returns? The VISION OVNI group disclosed yesterday that “the community of Joaquin V. González in the Province of Salta was shaken by the presence – in broad daylight – of a cigar-shaped object that crossed the skies of this locality.” A mysterious interruption of cell phone service was reported while the phenomenon occurred.